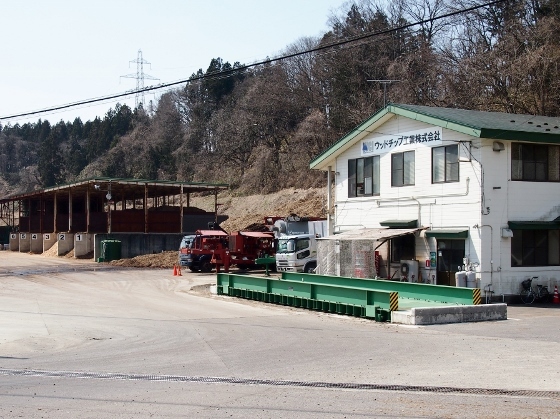 Today I left Yamato area of Kitakata City and visited woody biomass power plant at Kawahigashi Industrial Park of Aizuwakamatsu City. 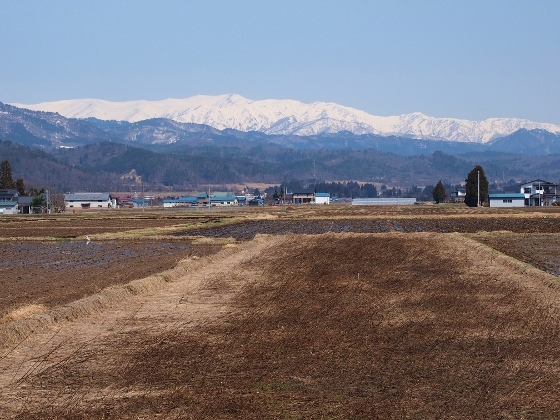 First up, I would like to show you the beautiful snowcapped views of Iide Mountain Range. 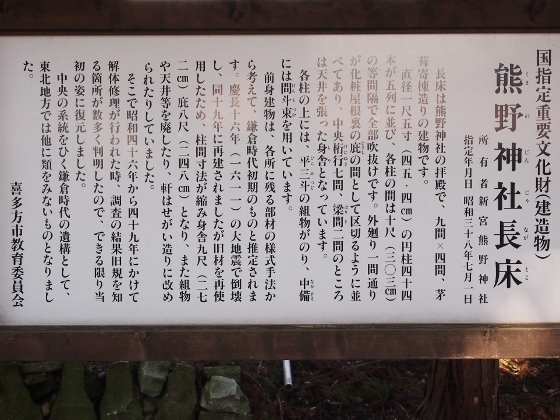 Above photo shows the view from Sensakigahara of Yamatomachi. The location was red asterisk 1 on the map. Next photo was the view from Awanomaki Bridge over Aga River. The location was red asterisk 3 on the map. 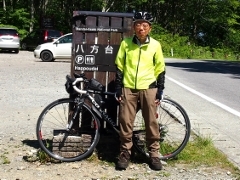 The last view was from Shiokawa area of Kitakata City. The location was red asterisk 5. On the way I found a woody chip plant of Wood Chip Industry Inc. A part of these chips were used as fuel for biomass power plant. 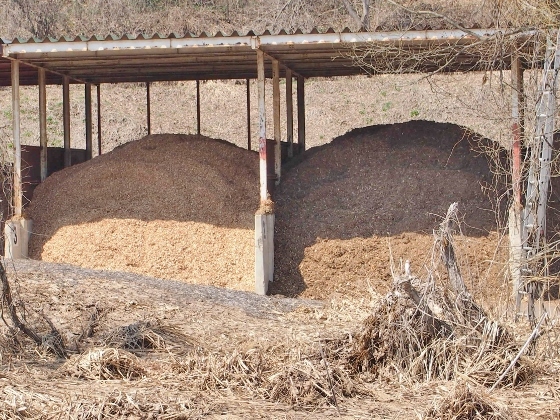 Piles of woody chips can be seen in one of the photos above. 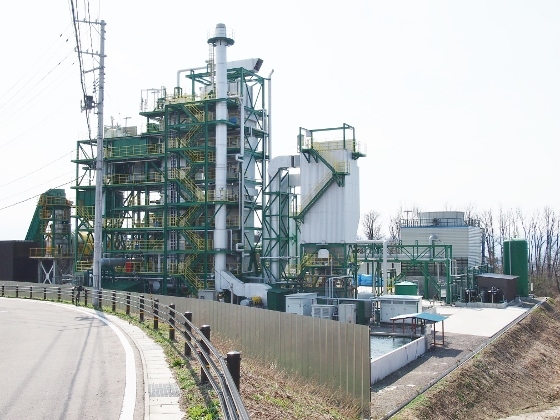 I visited woody biomass power plant at Kawahigashi Industrial Park of Aizuwakamatsu City. The plant started operation from July 2012 and it generated 5000kw of electricity. 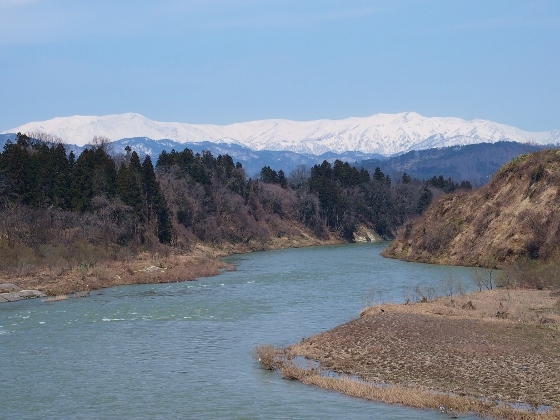 Aizuwakamatsu City had been willing to use distributed renewable energies of its own and this electricity was supplied to five of the city halls and schools. 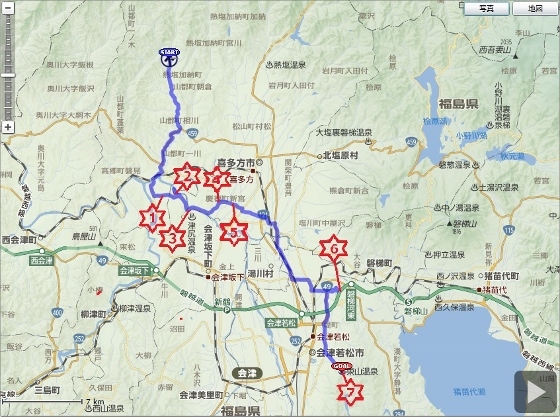 The location was shown as red asterisk 6 in the map. Above pictures show the woody biomass power plant. 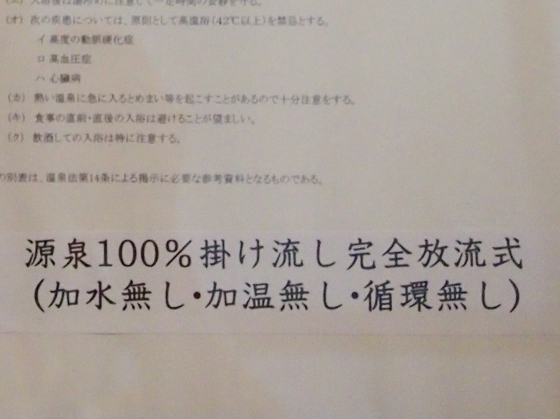 So far some of the distributed renewable power plants and the consumptions were shown inside Fukushima Pref. I will further show some other new examples in the future articles. I found a National Important Cultural Property on the way. 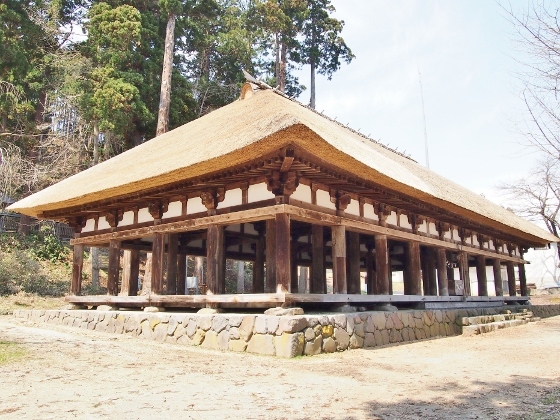 It was a worship hall called Kumano Shrine Nagatoko. The location was red asterisk 4 in the map. 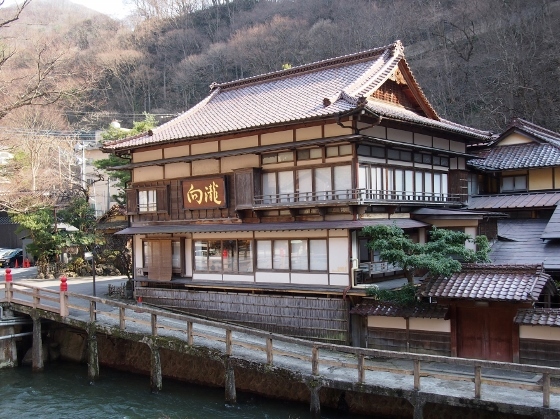 Tonight I stayed at Mukaitaki Inn of Higashiyama Onsen at Aizuwakamatsu City. 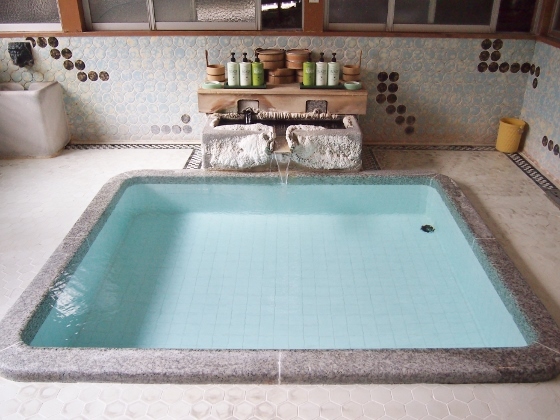 I could enjoy the best quality hot spring, best meal, and best comfort here. (The charge was somewhat expensive.) 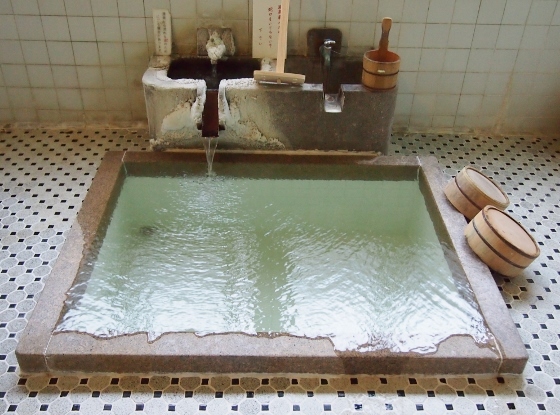 The hot spring here was without adding water, no heating, and no circulation for filtering and I could realize the best quality of its chloride and sulfate spring. The structure of the inn had been registered as National Tangible Cultural Property. Please refer to the red asterisk 7 on the map for the location. 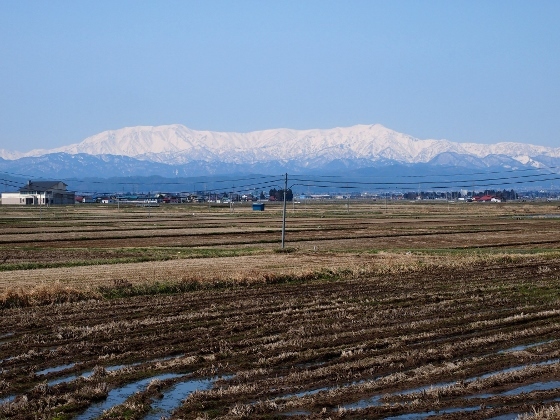 Tomorrow I will return to Koriyama City thus this will be the last report of Aizu for this time.